les anti-modernes*: steven alan sample sale! i am also quite fond of these very garconne mary janes (60% off!). Purchased a reverse seam shirt and classic striped tee yesterday! excellent purchases koko! i love that the SA sample sale is online - SO much more pleasant to shop from home! Really tempted, but alas the reverse seam shirts in my sizes were out (well, my wallet is thanking me). On the other hand, I got a dress shirt from the Theory sale (as I realized I had too many Steven Alan shirts and very few shirts appropriate for work, I guess my style is in transition). I really want to buy one of the Steve Alan jumpers, as they look to be the perfect fit, although didn't spot any in the sale. 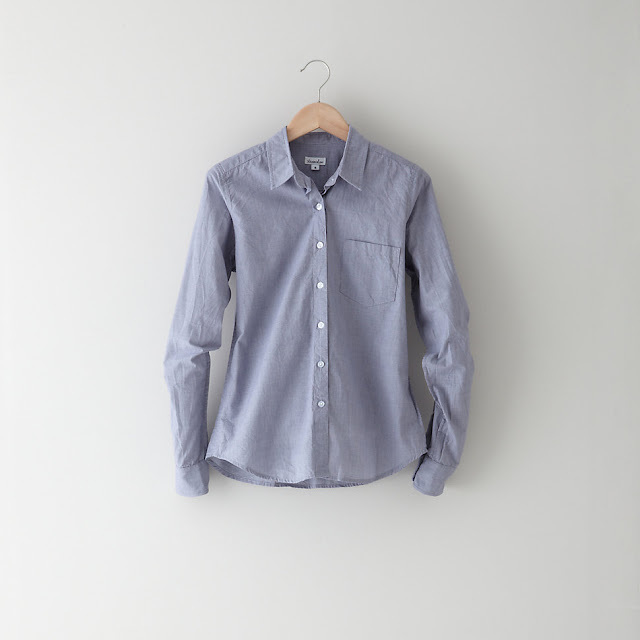 I've got my eye on a couple of chambray shirts on eBay which was my other wishlist item for the moment. Have to say it would be pretty easy to go crazy with that sample sale though! hehehe. i think the selection is quite good this year. Thanks to you and Koko I finally purchased 2 sa pieces. I got a reverse seam shirt and also the boyfriend shirt. I can't wait to get them! yay! you'll love them - the SA shirts are so well made and such wardrobe staples! Thanks for the heads up! With a few hours left, I picked up a reverse seam shirt, striped shirt, wool mini, and straight jeans. All filling holes in my wardrobe and I'm happy to do so with made in the USA pieces at excellent prices. thanks Dottie :) do comment more often, and so happy that you found these sale gems! I got a couple dresses. I find them to be the perfect teaching attire. Comfortable, but dressy/professional enough to look authoritative.